Jamba, Inc. (NASDAQ:JMBA) ("Jamba"), a leading healthful, active lifestyle brand, today announced that Joe Thornton will join Jamba Juice® as Chief Operations Officer, effective March 20, 2017. Jamba, Inc. (NASDAQ:JMBA) ("Jamba"), a leading healthful, active lifestyle brand, today announced that Joe Thornton will join Jamba Juice® as Chief Operations Officer, effective March 20, 2017. Thornton will report to CEO Dave Pace and will be based at the Jamba Whirl'd Support Center located in Frisco, Texas. In his new assignment, Thornton will be responsible for all aspects of Jamba Operations including company-owned store operations, franchise support, operations services, training and communications. Joe will also work closely with the Jamba Franchise Advisory Council to deepen our partnership with our franchisees and strengthen our support to the Jamba franchise community at large. Thornton is a top-performing operations executive with extensive experience across multiple functions in both staff and line assignments. 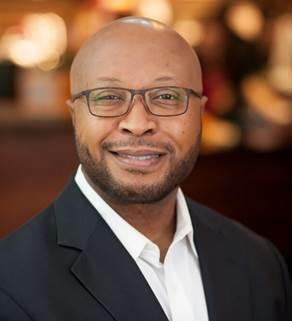 For the past 11 years, Thornton has held leadership roles at Starbucks Coffee Company, overseeing both company-owned and licensed operations across multiple territories. Most recently, he served as Vice President of U.S. Licensed Stores, where he led the development and growth of 1,800+ licensed stores across the U.S., and prior to that he served as Senior Vice President leading the operation of 2,800 company-operated stores. Prior to his role at Starbucks, Thornton spent 14 years with Blockbuster Video working in a number of capacities, including Operations, and Franchise Support and Administration, where he supported more than 1,000 franchise locations throughout the United States. "I am excited to welcome Joe Thornton to the Jamba team," said Dave Pace, CEO of Jamba Juice. "Joe brings a track record of growth through operational excellence and a store-centric focus. He shares our commitment to building great teams and strengthening our franchise and partner relations." Jamba, Inc. (NASDAQ: JMBA) through its wholly-owned subsidiary, Jamba Juice Company, is a healthful, active lifestyle brand with a robust global business driven by a portfolio of franchised and company-owned Jamba Juice® stores and Jamba Juice Express TM formats. Jamba Juice ® is a leading restaurant retailer of "better-for-you" specialty beverage and food offerings which include flavorful, whole fruit and vegetable smoothies, fresh squeezed juices and juice blends, Energy Bowls™, signature "boosts", shots and a variety of food items including: hot oatmeal, breakfast wraps, sandwiches, Artisan Flatbreads™, baked goods and snacks.